Wild Bill Hickok married Agnes Lake Thatcher (she owned a successful circus and was a tightrope walker, lion tamer and equestrian) at the residence of S.L. and Minnie Moyer. The presiding minister noted in his prayer book that he "didn&apos;t think they meant it." Hickock was slain during a poker game in Deadwood, South Dakota five months later. He was holding two pair - aces and eights - which soon became known as the "dead man&apos;s hand." Even though the pastor didn&apos;t think they meant their vows, Bill and Agnes did love each other very much. The night before he was murdered, Wild Bill had a premonition of his passing and sent a love letter to his wife saying he was looking forward to spending eternity with her in paradise. What famous couple was married in Holliday Park, right in front of Big Boy, in 1973? 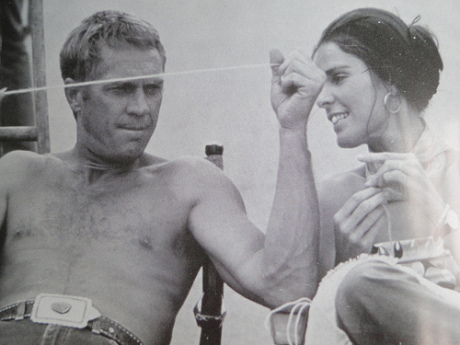 Steve McQueen & Ali McGraw. They met on the set of &apos;The Getaway&apos;, a heist film directed by Sam Peckinpah. 15th street once housed 17 saloons. 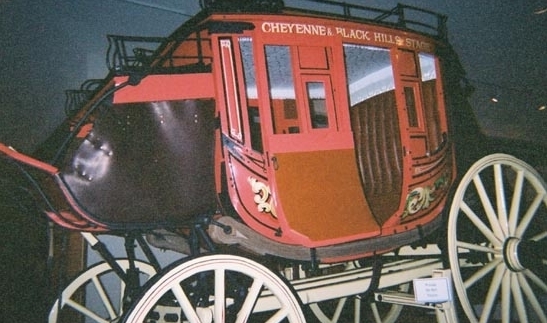 During Cheyenne&apos;s "Hell on Wheels" days, 15th Street was the center of a booming "red light" district where railroad men could visit the saloons and brothels, hanging their red lanterns outside the doors so their engineers could locate them when their trains were departing. What is the 60&apos; tall granite pyramid out in the middle of the prairie along I-80 west of Cheyenne? Ames Monument was built as a tribute to Oliver and Oakes Ames, two brothers who were leaders in the construction of the trans-continental railroad. The monument was built around 1881 at the highest point along the transcontinental route in the railroad town of Sherman. In later years, Union Pacific moved the tracks south and the town disappeared. 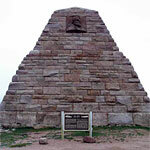 However, the 60&apos; pyramid tribute to the Ames Monument remains on the Wyoming high plains. The site is currently administered by Wyoming State Parks & Cultural Resources. The Deadwood Stage carried passengers and freight between the South Dakota gold fields and Cheyenne, the region&apos;s largest shipping point. In 1877, freighter "Phatty" Thompson paid local Cheyenne boys 25 cents for every stray cat they could find. He loaded up the Deadwood stage with howling cats and off he went to Deadwood, convinced that the dancehall girls would purchase them. Along the way the stagecoach overturned sending hundreds of wild cats free in the prairie. Phatty was able to retrieve many of the cats, and he delivered them to the girls in Deadwood, selling them for $10-$25 each. 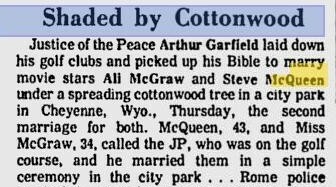 Of course, more went on between Cheyenne and Deadwood than herding cats. Click here to hear a song all about it!! 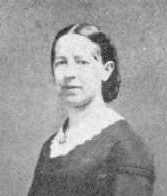 Mary O&apos;Hara. She lived west of Cheyenne off I-80 at the Remount Ranch. 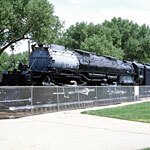 What is the name of the world&apos;s largest steam locomotive located i n Cheyenne&apos;s Holliday Park? What interesting artifacts were located on the 2nd floor ceiling of Cheyenne&apos;s historic depot? Promotional posters dating back to 1886. During the depot&apos;s construction, a fence circled the building on which local businesses posted promotional posters to advertise their wares. During the renovation of the depot in 2006, workers discovered that these original fence planks and their colorful posters were used as the 2nd floor ceiling and had been covered by later ceiling work. Among the best preserved posters were several advertising a traveling circus. The posters are now covered and protected by a new ceiling. Local historians have fully photographed and documented the posters&apos; existence, and photographic exhibits of the original ceiling are planned. Steamboat was the star horse of the bucking bronco events at Cheyenne Frontier Days from 1901 to 1914. He was named Steamboat because he had a broken bone in his nose which caused him to make a snorting sound like a steamboat. One of the nation&apos;s best, and most distinctive logos, the image on Wyoming&apos;s uniforms depicts a cowboy riding a bucking horse. This symbol has been a part of the University of Wyoming Athletics Department since the early 1920&apos;s, when UW Equipment Manger Deane Hunton obtained a photograph of a cowboy, Guy Holt, riding the world famous bucking horse Steamboat. Steamboat was born on a ranch between Laramie and Bosler in 1901, and is regarded as one of the greatest bucking horses ever. Hunton traced the photo, and had it made into a logo, that was utilized by UW athletic teams. In later years the symbol more closely resembled the logo on the state&apos;s automobile license plates which was a depiction of another horse and rider. That bucking horse also was world famous and was called "Deadman". United Airlines trained its stewardesses in a hanger at the Cheyenne Airport. In the evening, the young students would relax at the Wigwam Lounge in the Plains Hotel. Of course, young local cowboys were quickly attracted to the area, parading up and down the hotel&apos;s Peacock Alley in efforts to be noticed. For more information on Cheyenne and all there is to experience in Cheyenne, contact Darren Rudloff, president and CEO, Cheyenne Area Convention & Visitors Bureau, at (800) 426-5009 or darren@cheyenne.org. Information is also available on the Cheyenne Area Convention & Visitors Bureau Web site located at http://www.cheyenne.org/. Photography is available at (214) 252-0900.